Explanation: What causes the structure in Comet SWAN's tail? 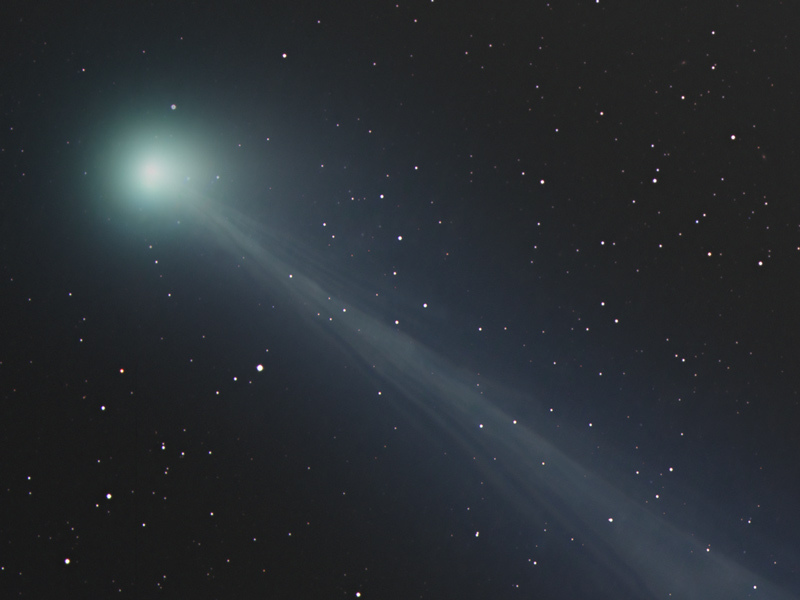 Comet SWAN, which unexpectedly flared up to naked-eye brightness last week, has been showing detail in its ion tail that might be described as ghostly. The ion tail is made of ionized gas, energized by ultraviolet light from the Sun and pushed outward by the solar wind. The solar wind itself is quite structured and sculpted by the Sun's complex and ever changing magnetic field. Following the wind, structure in Comet SWAN's tail can be seen to move outward from the Sun even alter its wavy appearance over time. The blue color of the ion tail is dominated by recombining carbon monoxide atoms. 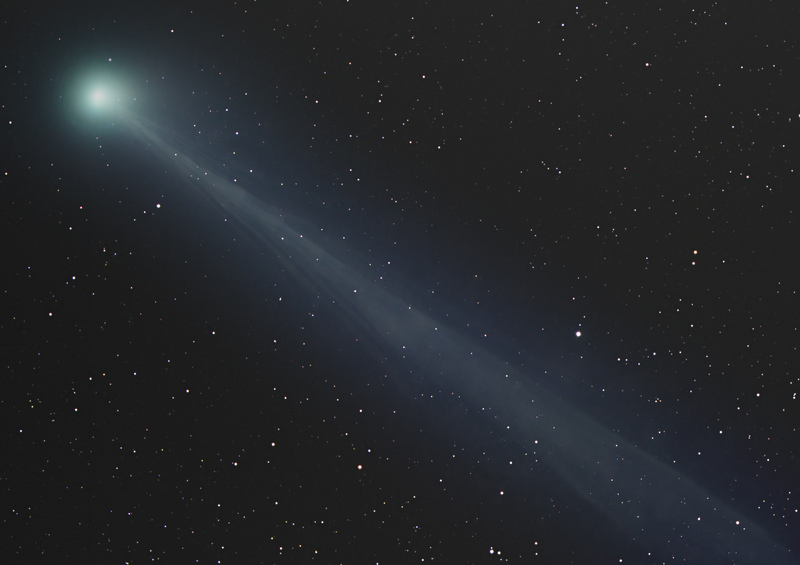 The color of the coma surrounding the head of the comet is tinged green by slight amounts of the molecule cyanogen. The above image was taken last week from California, USA. This week may be the best remaining chance for northern hemisphere observers to see the fading interplanetary snowball. SWAN has now passed both the Earth and the Sun and will fade as it moves away from the Earth and heads out into the vast space between the stars.